Welcome to another week! The weather is so up and down, over the weekend it was 80 degrees and currently it is 36, so it is hard to get dressed in the morning. 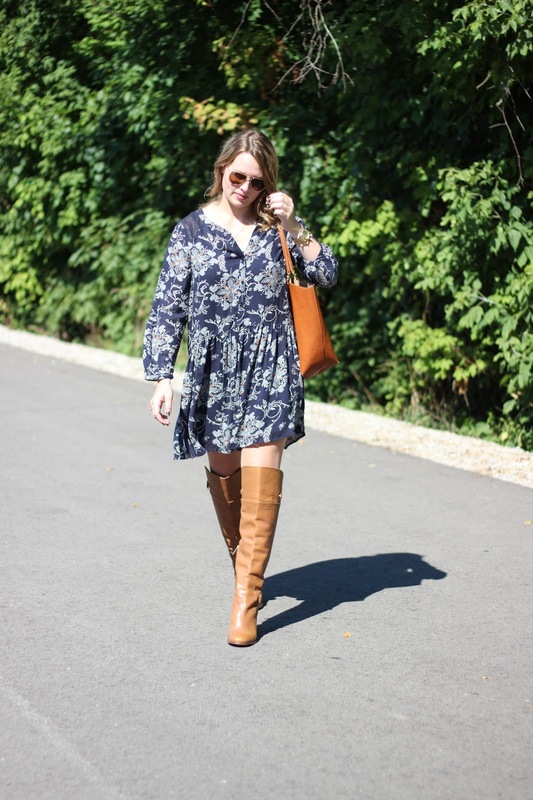 I am so excited to be finally wearing my favorite pair of over the knee boots (similar here) with this cute dress that is currently on sale! I have a ton of new content coming your way this week so stick around! Oh, if you read Wednesday's post, I did order the Hunter Chelsea Boots since they were on sale! They should be arriving any day! This is so cute!!! Love that dress and the cognac accessories! 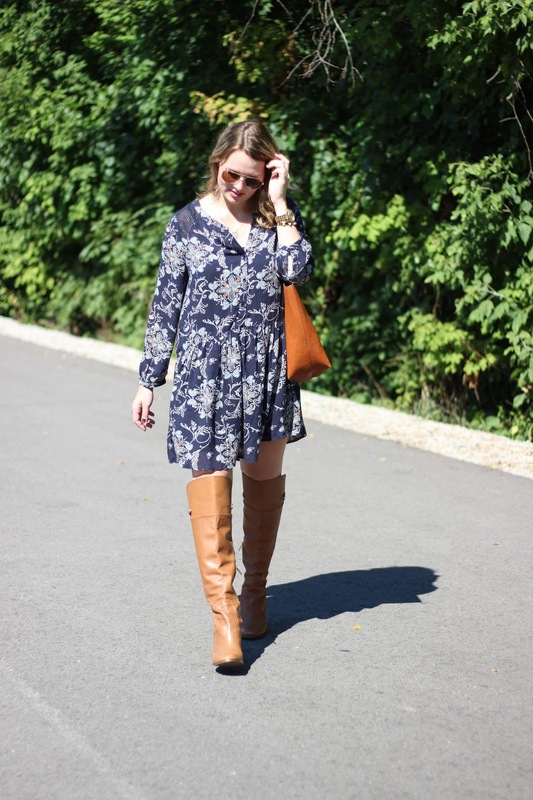 I love pairing my dresses with boots for fall! This look is so cute! 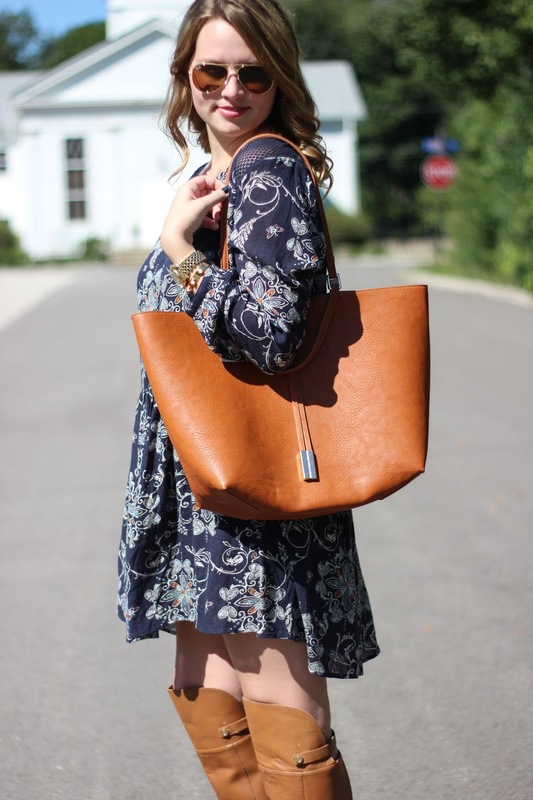 Loving this boho chic dress and how you styled it with the brown leather. Such a cute look! I would wear this whole outfit in a heartbeat. So cute! Loving these tan accessories :) Cute! 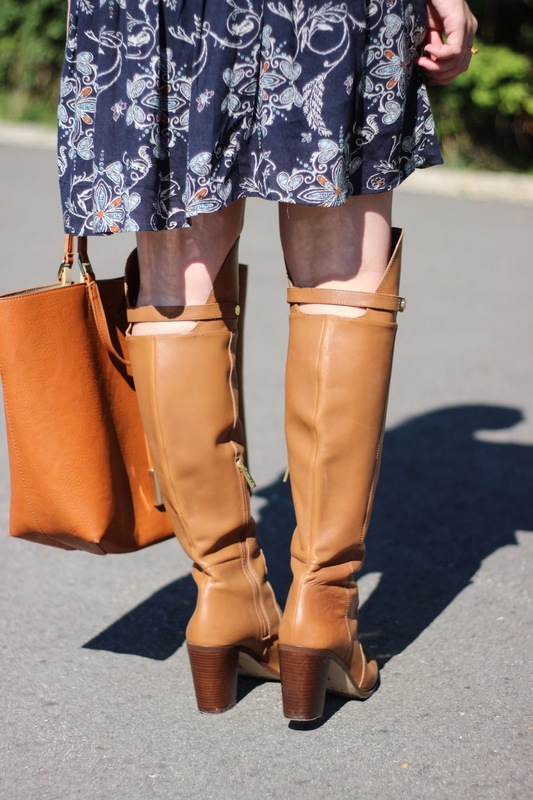 I love dresses paired with boots, fabulous look! 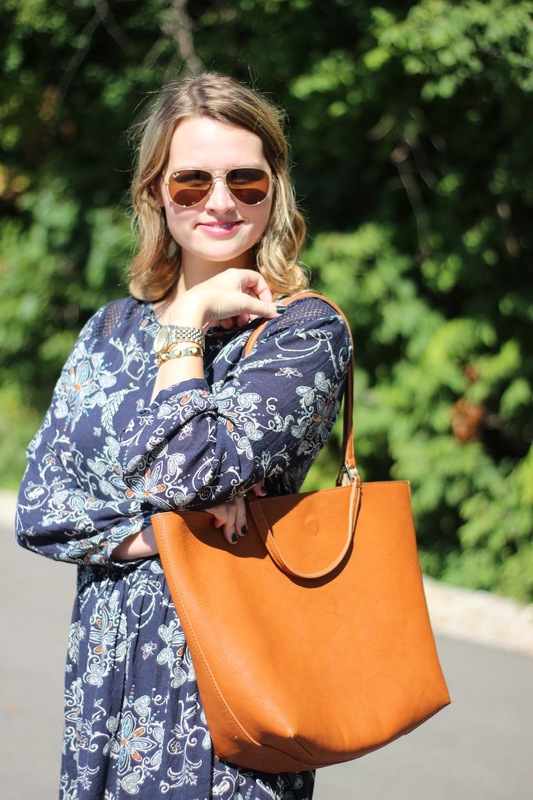 One of my favorite combos for fall!